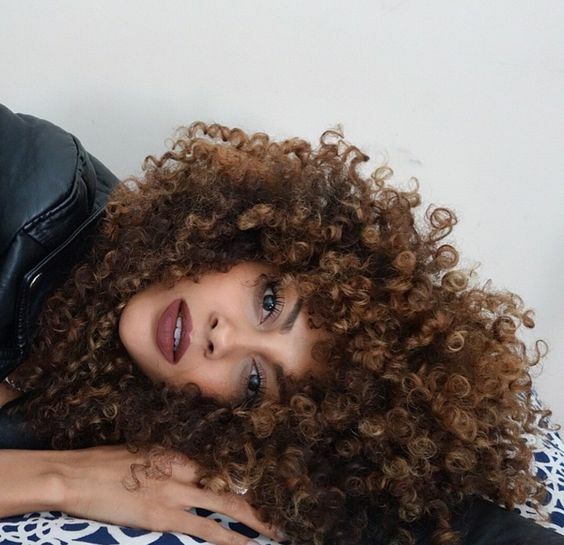 Before you go to bed, and after you get up in the morning, moisturize curls immediately. Select a moisturizer with nutritive properties, such as something that contains a shea butter. After moisturizing, use an oil to help seal in the moisture. This will help the strands maintain “wetness”, which will keep the strands from knotting up. While it isn't recommended to go super tight with styles, a good protective style can help reduce knots. Braids, buns, roller sets, twist outs, and braid outs are all effective protective styles to help curls retain a natural texture. This will help minimize opportunities for errant hairs to wrap around themselves. If you're more of a wash and go type, make sure to keep curls well lubricated. Additionally, ensure you're protecting curls while you're sleeping. Wear a silk bonnet or scarf to keep curls close to the head and secured. Keeping curls stretched with a soft hair tie, like a silk scrunchie can also help. One of the easiest ways to help protect strands against SSKs is to maintain the overall health of curls. This includes having a strong curl care regimen, keeping hair well balanced with moisture, protein, and pH levels, and getting regular trims. Dead ends are prone to splitting and knotting, which can lead to breakage. Detangle curls correctly, when hair is wet and using conditioner to create slip.